Coming out of the Christmas Season I was looking for something to break my month of making glass after glass of the Caribbean Christmas for myself and for my guests. So flipping through my cocktail books, I was looking for something with Gin. 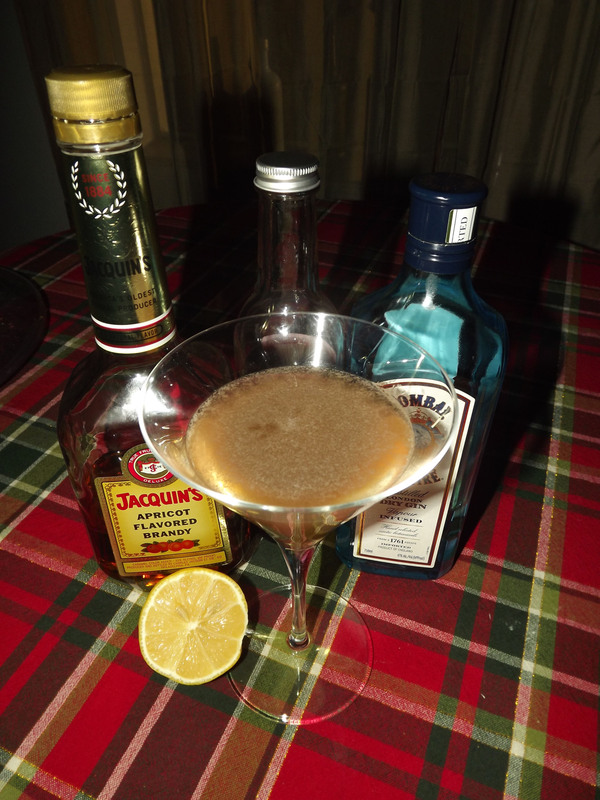 I was in the mood for it’s crisp mix of juniper and other botanicals to sooth the season of sore throats, and found a recipe that while I’m sure I’ve made before, I don’t think I’ve made for the blog. The Boston Cocktail is a striking golden color, and invites you in with a citrusy apricot on the nose. It starts sweet, moves to a slightly sour (but not overpowering) mix of fruit flavors, and finishes with a refreshing punch of the botanicals from the gin. I honestly have to say that this drink really impressed me. While lately I have favored American Style Gins for my home bar, I feel this particular cocktail would require a London Dry in order to really get the bouquet of flavors. Presentation wise part of me wishes for a garnish, but I think a fun variation would be to hold the grenadine until the end, creating a red bottom similar to that of a tequila sunrise. This is a strong contender for my menu, and moving into the new year I think it would really be worth adding for your next party. It’s rare to get such a good cocktail with the threefold batch of flavors, and it’s definitely one I recommend you try! Shake and strain into a chilled cocktail glass. Enjoy!